Meeting up with someone you like may be exhilarating, but it can also be nerve-wracking, so having a plan in place will make things much more relaxed. Whether you're newly dating or celebrating a special anniversary, Dallas is the perfect city to fall in love. Here are a few places to try for a first-time meetup or a long-standing anniversary date. 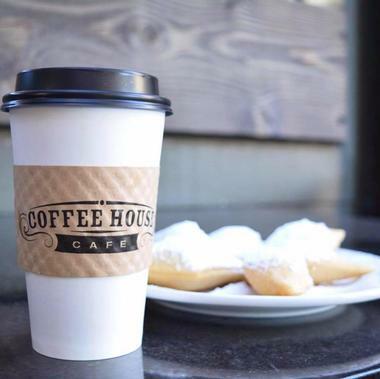 The Coffee House Café is a locally-owned community gathering place in North Dallas that is open for breakfast, brunch, lunch, and dinner and serves a variety of delicious homemade fare and specialty coffee. Owner Carrie Stein and her talented culinary team present a menu of light, healthy food such as cage-free egg specialties, fresh meat, and seafood dishes, crisp salads and vegetables, and a range of freshly baked pastries and sweet treats. Beverages range from house-squeezed juices to a delightful wine selection, and 100% certified organic, fair trade and shade-grown hand-selected coffee and espresso beans. The Coffee House Café hosts a variety of events throughout the month, including live music, poetry readings, and more. 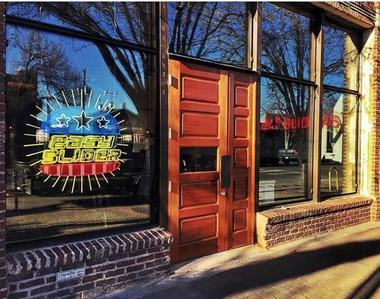 Easy Slider is a casual food-truck-inspired restaurant in historic Deep Ellum that serves freshly-made, innovative mini-burgers all over Dallas. Owned by Caroline Perini and Miley Holmes, Easy Slider began as a food truck, and the city’s only slider truck that served fresh, creative made-from-scratch mini-burgers with Certified Angus Beef patties, freshly baked buns, and sides and salads from the crispiest farmers market produce. Today, three food trucks and the brick and mortar restaurant in Deep Ellum still serves delicious handcrafted burgers with sauces made in-house, and decadent desserts prepared fresh for a sweet treat at the end of the meal or a mid-morning sugar rush. 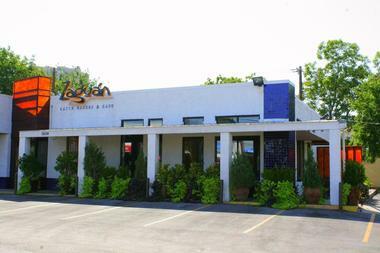 Named for the elaborate entry-passage in the grand old colonial homes of Spain and Latin America and the symbol of invitation in Latin history, Zaguán Latin Café and Bakery is a friendly, inviting café on busy Oak Lawn Avenue in the heart of Dallas that serves traditional Latin American cuisine in a convivial atmosphere. Following the key elements of the zaguán, which loosely translates to the physical place in your home where you welcome guests, the sensory experience at Zaguán Latin Cafe and Bakery is real with creaky bistro chairs, steam pumping from the arepas and the crackling grind of Colombian coffee. A pastry case is packed with sweet treats like dulce de leche alfajor cookies with thick snow tops of powdered sugar and the menu features delicacies like arepas stuffed with chicken and griddled queso Blanco, cachitos stuffed with minced ham and cheese, and chicken sandwiches with juicy chicken breast marinated in tomato sauce and served on fresh bread with tomato and mayo. Zaguán Latin Café and Bakery is open for breakfast, lunch, and dinner, Monday through Sunday. Peticolas Brewing Company is a family-owned and operated brewery in Dallas that produces an award-winning range of handcrafted craft beers and ales. The brewery boasts a modern industrial-style space with a tri-level tasting room dedicated to showing off 18 of the brewery’s beers with plenty of bars and table seating, a games loft with bar seating, televisions and a variety of games, and a secluded seated area for private tastings. Guided tours of the brewery are available on the first and third Saturday of every month from 1:00 pm to 3:00 pm, as well as tastings of the brewery’s top brews, which include Velvet Hammer, Golden Opportunity, Royal Scandal, Great Scot!, and Clandestine, among others. Located in the Windhaven Plaza on the Dallas Parkway, Sixty Vines is a casual New American kitchen and wine bar that serves a menu of light bites and wines on tap in spacious, designer surrounds. The Plano hot spot boasts breathtakingly high ceilings with exposed wooden beams; an open kitchen with a dazzling copper-domed pizza oven and fresh pasta hanging from the pipes; long communal tables with oversized lanterns filled with foot-tall candles; an area filled with comfy couches for the lounging crowd; a quiet greenhouse patio. Sixty Vines has a high-quality kitchen that serves an Italian-inspired menu of appetizers, wood-fired pizza, house-made pasta, fresh salads, and sharing platters of artisan cheeses and meats, along with 41 wines on tap by the half-glass, glass, double-glass or bottle, plus three beers brewed on the premises and a list of guest beers and ciders. 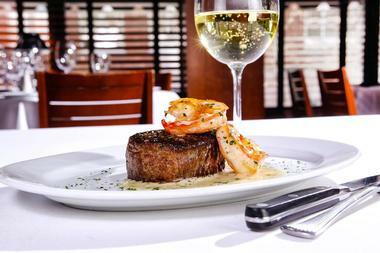 Founded in 1999 by restaurateur Phil Romano, Nick & Sam’s Uptown Steakhouse is one of Dallas’ most popular dining destinations. The elegant Uptown chophouse serves an array of exceptional prime steaks and chops, including the best selections of Japanese Wagyu in the country, fresh seafood, and world-class sushi, along with an award-winning wine list, and outstanding customer service. The acclaimed restaurant boasts a classy, elegant ambiance with soft lighting, dark wood floors and dark wood ceilings framed dark painted walls, leather seating, and a vibrant bar scene. The menu features half a dozen cuts of prime USDA beef and seven varieties of Japanese Wagyu, which are cooked to perfection and served with homemade sauces and an array of sides like creamed spinach, roast mushrooms, and the to-die-for lobster mac and cheese. Other items on the menu include fresh seafood and sushi, and an extensive wine list which boasts over 450 selections, including 20 offered by the glass. Henry's Majestic is an industrial-chic Dallas bar and restaurant that promises good food and strong drinks in a laid-back, community gathering space atmosphere. The restaurant, which has been praised by USA Today, Bravo, and Zagat, is home to two large bars, which serve up craft microbrews on draft, an extensive wine list, and impressive separate cocktail menus for brunch, day, and evening service. Lunch, dinner, and late night menus emphasize unique fusion comfort food, including Korean barbecue chicken, street tacos, bone marrow burgers, and Texas-style pho bowls. A dog-friendly outdoor patio offers a spacious fireplace and televisions playing major sporting events. 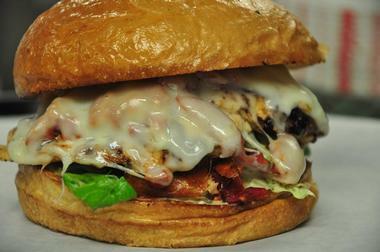 Uncle Uber's Sammich Shop is a casual bar and grill that has been named as the site of Dallas' best burger by D Magazine in 2002. 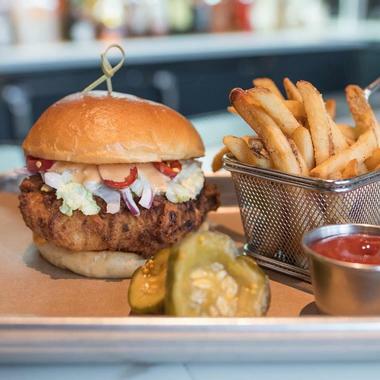 The restaurant, which opened in 2011 in Deep Ellum, began as a fast-casual lunch joint and has evolved into a full bar and grill, operated by the owners of other popular Dallas ventures such as the Green Door Public House. Tender, juicy burgers are available in single, double, or triple patty variants, with add-on toppings ranging from traditional cheddar cheese and bacon to avocados, grilled jalapenos, or goat cheese. A wide range of specialty sandwiches are also served up, including Cubans, slow-roasted pulled pork sandwiches, and pork or vegan bahn mis. Located in the Preston Royal, Royal China is a long-running family-style Chinese restaurant that serves authentic Chinese cuisine, including hand-pulled noodles and house-made dumplings. Royal China’s inviting main dining room features cheerful yellow and red walls and red banquettes, and striking black-and-white art photographs, which give the place a stylish, modern feel. Solo diners can sit at the white marble dumpling bar, which offers views of the buzzing kitchen and the expert chefs at work, creating the delectable American-style Cantonese dishes to be found on the menu. Signature dishes include Shanghai won-ton soup with pork-and- vegetable-filled dumplings and sliced scallions, shrimp with lobster sauce, Peking duck roasted with garlic and ginger and five spices, and Sichuan Gon Bao pork, a stir-fry of diced pork, scallions, dried red chilies and roasted peanuts. Royal China is open for lunch Sunday through Friday, and dinner, Monday through Sunday. Hon Sushi is a simple Japanese restaurant with a sushi counter that serves authentic, mouthwatering Japanese and Korean fare. The impresario behind the counter of this intimate new Carrollton spot is Chef Charlie Yun who focuses on presentation just as much as he does about preparation, creating plates that look too good to be eaten – think dishes served as pastoral scenes, complete with picket fences, edible flowers, and trees carved out of cucumbers. Signature plates range from salmon belly sashimi, delicious tempura-fried mushrooms stuffed with crabmeat, chicken katsu, udon bowls, teriyaki, and an array of specialty sushi rolls. Don’t miss the ‘Popcorn Lobster’ of popcorn-fried crawfish piled atop a spicy tuna roll. There is also a variety of traditional Korean dishes like gamja tang, japchae, and delicious donburi bowls. 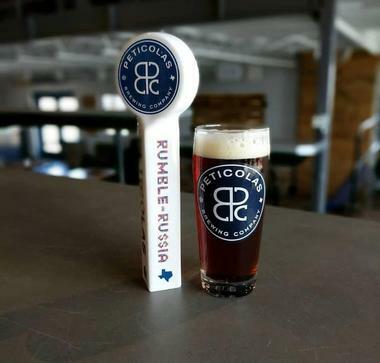 The Rustic is a charming, neighborhood eatery that serves a menu of healthy and hearty cuisine prepared with farm-fresh local ingredients in a relaxed, casual atmosphere. 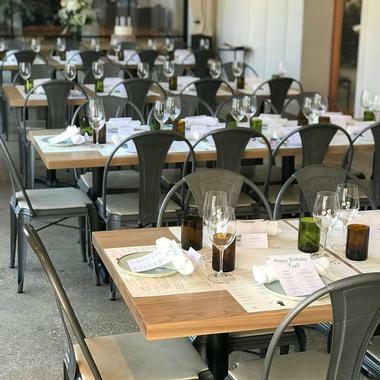 Located on Howell Street in the heart of Uptown Dallas, The Rustic exudes a warm and welcoming ambiance with live music from local and national artists, friendly staff, and a spectacular patio for alfresco dining. A full-service bar offers an extensive list of 35 local craft beers, 40 beers on tap, Texas wines and spirits to accompany the classic cuisine, which features ocean-fresh seafood from the Gulf, steak sourced from local ranchers and dairy and produce grown by local farmers. 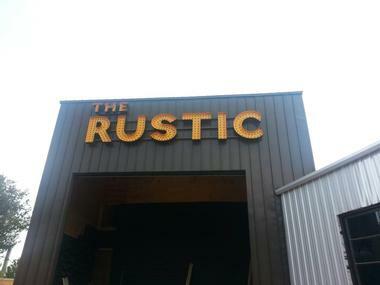 The Rustic also offers unique dining concepts such as a Jam and Toast Brunch, Sunday Supper, and Picnic Baskets for those wanting to enjoy the delectable cuisine elsewhere. Located in the center of Highland Park Village, Bistro 31 is a charming bistro that serves elevated European bistro fare in an elegant, understated setting. 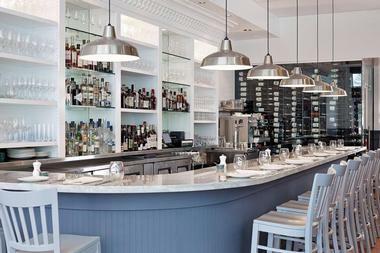 Named in celebration of the year of the original structure was built – 1931 - Bistro 31 boasts a sleek and stylish interior with oak herringbone flooring, exposed ceiling beams, Murano glass chandeliers, marble-topped tables, cream-colored leather booths, and abstract paintings on the walls. There are sidewalk tables for those who want to dine in true European style, as well as an open-air patio with air-conditioning, heating, and a retractable roof. Open for brunch, lunch, and dinner, Bistro 31 serves a creative menu of Euro-centric cuisine with French, Italian, and Spanish influences, with a broad selection of starters, soups and salads, pastas, and mains, accompanied by a cocktail menu of classic cocktails such as the French 75, and an excellent wine list. The Standard Pour is a neighborhood restaurant and bar that combines a greasy and silver spoon to create a classic cocktail den and cravings kitchen. Located on the fittingly Irish McKinney Avenue, the Standard Pour is inspired by 1920's nouveau nostalgia and offers an elegant, toned-down environment that welcomes friendly conversation and calmer interactions with a dress code that emphasizes a classier environment. The stylish bar serves a vast assortment of liquor options, ranging from standard cocktail, such as a Mint Julep, to nine different vodkas, and 24 white and red wines. The Standard Pour also serves an extensive menu of appetizers, crisp, hand-tossed salads, hearty entrées, and decadent desserts, catering for all tastes. 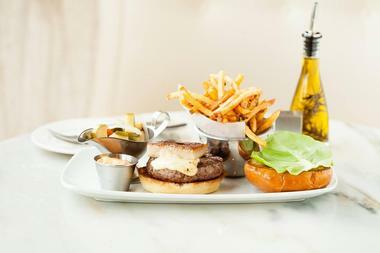 The Grape Restaurant is a long-standing bistro that serves an innovative New American menu in cozy, romantic environs. The Grape has been a Dallas dining institution and the first choice for date nights for more than 45 years, providing seasonally rotating menus with creative dishes such as grilled globe artichokes, mustard-crusted salmon, sautéed veal ribeye cutlet, and flash-fried calamari. Mouth-watering desserts include dark chocolate terrine, Bourbon-Sorghum roasted peach, and Chef’s dessert cheese, and the cuisine is accompanied by a selection of fine wines from around the world and signature cocktails. 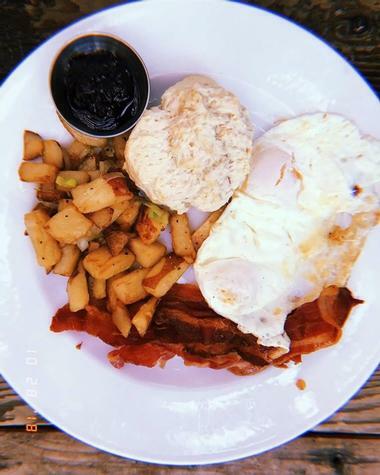 The Grape Restaurant offers a variety of weekly specials and happy hour drink specials and is open for dinner Monday through Sunday and Sunday brunch. Truluck's is all about fresh seafood and pride themselves on serving the freshest Florida Stone Crab around. 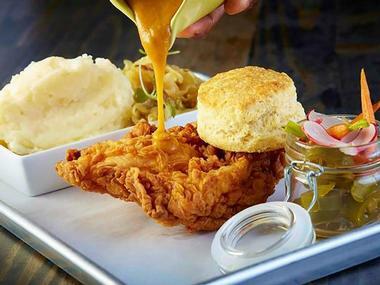 Boasting several locations around the country, the popular chain specializes in fresh seafood and crab but also serves a variety of prime steaks and meats, fresh salads, and sides, and desserts to die for in a casual, laid-back ambiance. Signature dishes on the menu include fresh crab claws, Petrossian caviar, oysters Rockefeller, clam chowder, lobster bisque, Pacific swordfish steak, and pan-seared scallops. 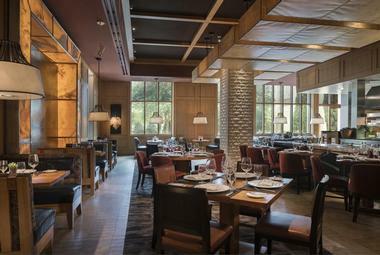 Open for lunch and dinner, Truluck's Dallas hosts a daily Cocktail Hour along with live entertainment, seven nights a week. Ocean Prime is a modern American restaurant and lounge with locations around the country that delivers an extraordinary dining experience. Established by renowned restaurateur Cameron Mitchell, Ocean Prime is located at Rosewood Court in Uptown Dallas and just a short stroll away from some of the city’s top cultural and sports attractions, making it a favorite spot before and after the Mavericks and Stars’ games. Hailed as one of the top steakhouses in the city, Ocean Prime serves an impressive menu of fresh seafood and prime cuts of steak, crisp salads, and sides, and mouthwatering desserts in an elegant and refined setting. The cuisine is accompanied by a Wine Spectator-honored wine list, an array of handcrafted cocktails, and imported spirits, and served by professional, friendly staff. 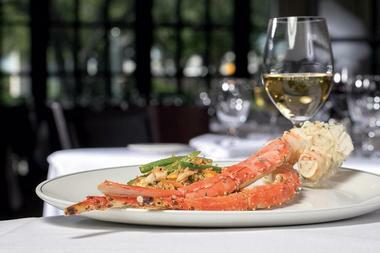 Ocean Prime Dallas is open for lunch and dinner, seven days a week. Set in the luxurious Ritz-Carlton hotel on McKinney Avenue in Downtown Dallas, Fearings Restaurant is an elegant Southwestern-inspired restaurant with a celebrated bar that serves creative New American cuisine in a refined setting. Named for the ‘father of Southwestern cuisine and author of the Texas Food Bible, Chef Dean Fearing, Fearings Restaurant takes dining to a new level with innovative combinations of food, such as an antelope and a cactus pear glaze or the Guinness chocolate cake with orange curd and cider beer ice cream. The spectacular cuisine is complemented by the stunning interior design of the restaurant, which features seven distinct settings including a garden-facing glass pavilion, a landscaped patio, and an intimate wine cellar. The restaurant is also home to the celebrated Rattlesnake Bar, which serves an impressive list of libations, light menus, and live music. Located in Addison Walk in Addison, Kenny’s Wood Fired Grill is a buzzy American bistro and bar with a focus on wood-fired meats & seafood in a clubby chophouse setting. Exuding the ambiance and décor of a 1940s Chicago style chophouse and a relaxed, comfortable vibe, Kenny's Wood Fired Grill serves a diverse menu of prime meats and burgers, decadent surf ‘n turf selections, and fresh seafood dishes, all cooked over our hickory wood-burning grill, along with fresh salads and sides, and sweet treats. A full-service bar offers an impressive wine list, handcrafted cocktails, including Grey Goose™ martinis poured from the signature frozen tap system, and a variety of craft beers. 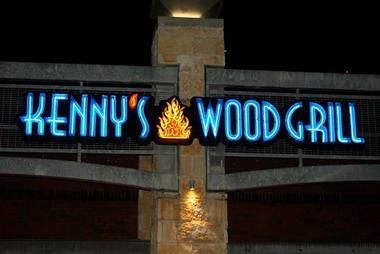 Kenny’s Wood Fired Grill is open for lunch and dinner, seven days a week. Gemma Restaurant is a casual, relaxed eatery with a coastal California vibe that serves an array of New American cuisine and signature cocktails. Decorated in tones of blue and white to exude a Mediterranean feel, Gemma is modern, stylish, and cozy and serves food to complement the inviting atmosphere. One of the city’s hottest restaurants in the heart of burgeoning Henderson Avenue, Gemma serves a well-crafted, yet relatively simple and modest menu with an array of small plates and innovative entrées. Signature plates include Grilled Texas Quail with tomato panzanella, Orecchiette with toasted walnuts, Casarecce in a wild boar ragu, and Squid Ink Bucatini with shrimps and pancetta. Gemma Restaurant is open for dinner only, Monday through Sunday. Pecan Lodge is a family-owned and operated restaurant that is synonymous with barbeque and wood-smoked meat. 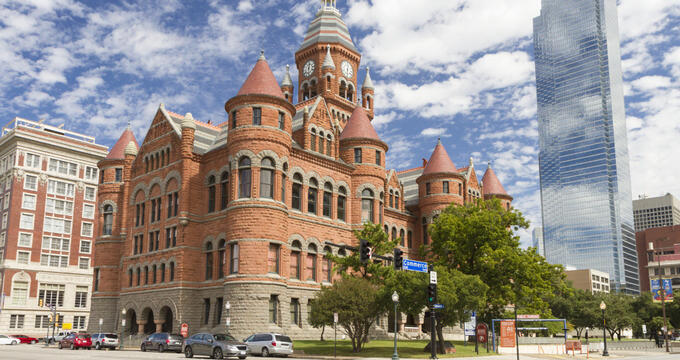 Located on Main Street in the heart of Dallas, the authentic Texan restaurant specializes in slow-cooked, wood-smoked, mouthwatering meats, such as brisket, pulled pork, beef and pork ribs, and handmade sausages. What began as a small company has now grown into one of the city’s most popular spots for traditional barbecue and authentic Southern sides, such as fried okra, mac ‘n cheese, collard greens, West Texas pinto beans, and coleslaw. Pecan Lodge is open for lunch and dinner, Tuesday through Sunday. 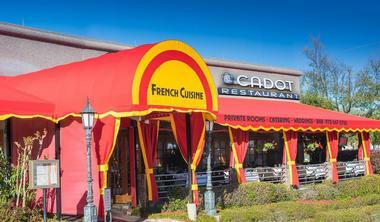 Cadot Restaurant is a casually elegant restaurant in North Dallas that serves a global menu of French-inspired cuisine prepared with fresh, locally sourced ingredients using traditional French recipes. Owned by Parisian Jean-Marie Cadot, the French-trained chef presents a selection of á la carte menus for lunch and dinner, as well as set menus, which feature typical French dishes such as seared foie gras with poached pears, mussels in a herb and white wine sauce, warm goat’s cheese salad, and blackened ahi tuna Mediterranean quinoa and ratatouille. The cuisine is accompanied by a hand-selected array of fine wines from France and around the world, imported spirits and liqueurs, and signature cocktails. Cadot Restaurant is open for lunch and dinner, Monday through Friday, and dinner only on Saturdays. Café Momentum is a unique culinary concept that combines a restaurant and culinary training facility with the aim of providing intensive culinary, job and life-skill training for at-risk youths from juvenile facilities and helping to transform their lives. Working in collaboration with the Dallas County Juvenile Justice Department, Café Momentum focuses on creating positive environments for these youth where they can gain self-confidence and learn marketable skills to ensure a more prosperous future. In addition to this, the classroom-style café serves fresh, locally sourced, sophisticated American cuisine prepared and served to you by an award-winning team of chefs and the young men and women involved in our program. 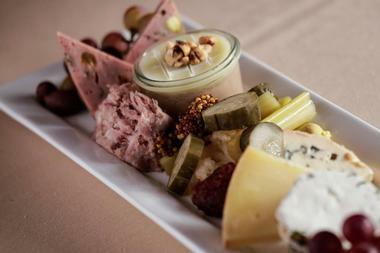 Café Momentum is open for dinner only, from Thursday through Sunday. 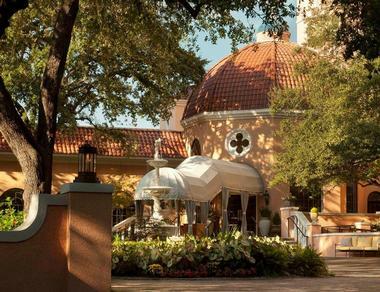 Located in the elegant Rosewood Mansion on Turtle Creek, the Mansion Restaurant is the culinary gem of the mansion. Once a charming private estate, the Mansion Restaurant has been delighting diners with exceptional cuisine for more over 35 years and has been hailed as one of the state’s top dining establishments. 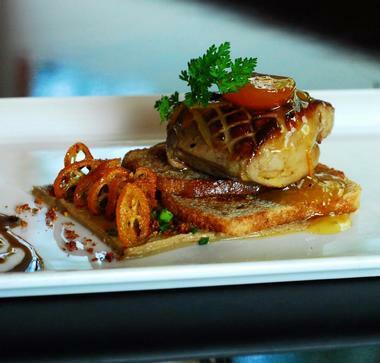 Boasting exquisite European décor and ornate accents, the Mansion Restaurant serve s menu to match new American cuisine thoughtfully prepared exceptional regionally-sourced ingredients and French influences. 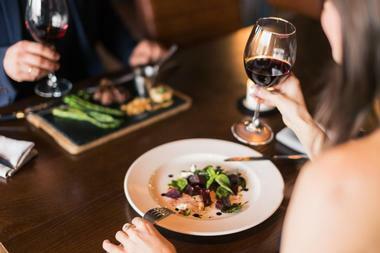 The cutting-edge cuisine is accompanied by a hand-curated wine selection with rare vintages from Texas and all over the world, as well as imported spirits and other upscale libations, which can be enjoyed in the beautiful dining room or on the outdoor patio. The Mansion Restaurant is open for breakfast, lunch, and dinner, Monday through Sunday. Abacus is an elegant Uptown restaurant with a stylish garnet dining room that attracts a lively young crowd who come to enjoy the eatery’s vibrant selection of contemporary global fare that bursts with the flavors of the Mediterranean, Southwest and Pacific Rim. Helmed by Iron Chef America-winner, Chef Kent Rathbun, Abacus presents a menu of creative and much-talked-about dishes such as lobster-scallion “shooters” with a red chile-coconut sake, oven-roasted venison, Niman Ranch bacon-wrapped tiger prawns, regular bacon and eggs made with Niman Ranch chipotle bacon, scrambled duck egg and black truffles. Desserts-to-die-for includes doughnuts with white chocolate espresso cream, a chocolate banana mousse cake with spiced rum caramel sauce, and s’more lollipops. Abacus is open for dinner only from Tuesday through Saturday. Located in the west end of the Decorative Center, Sassetta is a casual Italian spot offering seasonal takes on pasta, pizzas and fresh seafood, along with a selection of fine wines and craft beers, and signature cocktails. Focusing on house-made pasta, wood-fired pizza, fresh salads, and Mediterranean vegetarian dishes, Sassetta serves a menu of traditional Italian fare in a casual, laid-back atmosphere, along with a list of local Italian wines, including several tempting by-the-glass options. Salads boast unusual variations such as one with crunchy arugula, mushrooms, shaved Parmesan and a lemon vinaigrette, and the pizzas have crisp, bubbly thin crusts and melt-in-your-mouth toppings that will leave a lasting memory. As its name might imply, Lima Taverna is a self-styled Peruvian-Latin kitchen in Plano that is all about Peruvian cuisine, serving a variety of Peruvian classics like Lomo saltado, or beef stir-fried with potatoes and onions and served over rice. Tucked in the back of a small shopping center just south of Plano's Collin Creek Mall, Lima Taverna beings a taste of Peru to Dallas with an array of varied cuisine from Peru. Menu favorites three different types of ceviche, including ceviche mixto with whitefish, shrimp, and calamari with traditional fixings, and the popular leche de Tigre boasting freshly caught fish marinated in leche de Tigre (a mix of lime juice and peppers) and served with Peruvian-style corn, sweet potatoes, and shaved onions. Lima Taverna is open for lunch and dinner, Tuesday through Sunday.